It does not matter how much experience you have at hunting deer. Perhaps you have no experience at all, or perhaps you are a 30-year deer hunting veteran. You must have some tips that guide you along on every hunting day. There are hundreds of tips to make you a better deer hunter but if you can use these 9, you should do more than just fine. Deer have survived extinction due to their uncanny ability to tell when an enemy is close by, and they do this by using almost all of their senses. They can hear very well and they can even smell better. So that nicely perfumed skincare lotion or soap is going to alert the deer of your presence long before you even know they are around. Use water alone, or if you must use soap to bathe, use mild varieties only. If it is the wet season or the conditions are basically wet, you can use seal the barrel end with electrical tape. When it comes to the time to shoot, don’t bother removing the tape. Shoot through the tape. That is right, carry it with you and spray yourself with it once you get to your tree stand. One mistake that most people make is to use the odor eliminator as soon as they suit up in their hunting gear. They forget that the trek to the hunting area will wear away the spray. When you sweat, you start to develop body odor. Once you have set up the scent, are already at your tree stand waiting for buck to show up, you can practice getting and out of your spot quietly. This means not ruffling anything at all as deer are quite sensitive to noise. Bucks are very smart. If the hunting area is interfered with in any way, they will know and they will certainly start associating the disturbance with human beings. Thus, if you must trim the shooting line, do it in summer and then stay out of the hunting area for some time to let the bucks get used to the idea. When it has been snowing and you find a place where a deer pawed looking for mast, chances are that it will come back. So it would be a spot for you to wait for the return of the deer. They will come back if there is mast. Using a thermal scope has many benefits. One, you can shoot from a longer range. Two, thermal scopes for hunting deer come with higher magnification. Three, the scopes are so light in weight that they can never affect your shot. Every hunter should have one such scope. When it is windy and you want to set up scent from the windward, just do it at several spots and then get high on a tree. That way, even when the wind blows, your scent will be blowing above the buck. He won’t smell you. It is very important that you do not let the buck see you. If he does, you can still be able to fool his eye when you are sheltered by a tree stand. The tree stand will also provide you with shelter from the wind. 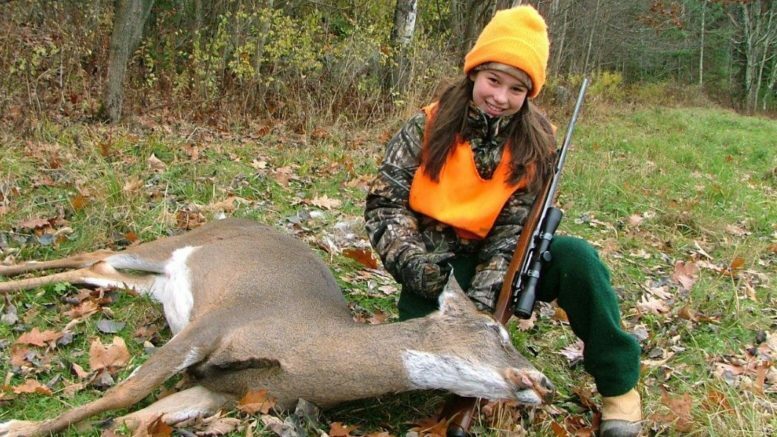 Be the first to comment on "9 Tips To Make You A Better Deer Hunter"